Usually, the months of April and May are action-packed as the Indian Premier League is in full swing. In recent years, there hasn’t been a lot of international games as well. It is only England who start their summer in late May and hence only a few international games coincide with the IPL matches. 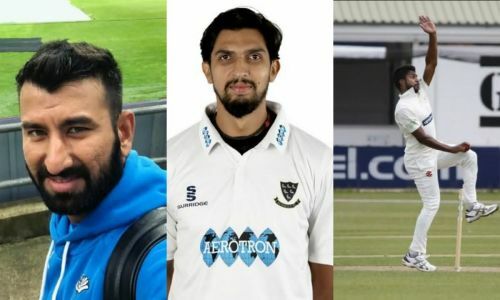 However, County Championship starts in April and this time three Indians (who were unsold in the IPL auctions) traveled to England and played there for more than a couple of months. Cheteshwar Pujara has been a regular County player as he’s been going to England quite regularly in the past few years. Ishant Sharma and Varun Aaron were the two others who featured in the County sides. While Pujara represented Yorkshire, Ishant featured in Sussex line-up and Aaron was a part of the Leicestershire side. Hence, let’s have a quick look at how these three players performed for their respective County sides. Cheteshwar Pujara had a good One-Day tournament but failed miserably in the four-day format. Cheteshwar Pujara has become a regular overseas player in the County Championship in the last few years. This was his fourth County stint and almost every year he’s been traveling to England to get some sort of experience. 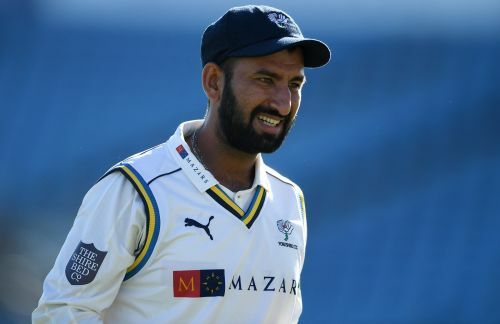 Having started off with Derbyshire in 2014, Pujara played for Yorkshire and Nottinghamshire in 2015 and 2017 respectively. India’s premier No. 3 batsman returned to Yorkshire this year. Unlike his previous stints where he contributed well, this year he struggled. In red-ball cricket, he looked completely out of sorts as he managed to score just 100 runs in 8 innings at a woeful average of 12.50. His highest score was 41 which came in the second innings in the game against Essex. But to everyone’s surprise, Pujara came good in the shorter format (Royal London One-Day Cup) as he amassed 370 runs at an average of 61.66. What took everyone by surprise was his strike-rate which was 90.90. He struck 3 fifties and 1 hundred in 7 innings. Hence, Pujara looked woefully out of form in the four-day format but turned it around in the One-Day games.